LANSING, Mich. — Sen. Dale Zorn has introduced legislation that would prevent the state from giving public assistance to parole and probation violators. A companion measure to Zorn’s bill would require probation and parole supervisors to quarterly provide to the Department of Health and Human Services (DHHS) a list of individuals who have failed to report their whereabouts as required. Zorn’s bill, Senate Bill 944, would then prevent DHHS from granting public assistance to the listed parole and probation violators. The bills were introduced as part of a comprehensive legislative package designed to reform, re-establish and rebuild a criminal justice system focused on lowering recidivism, reducing costs and keeping Michigan safe. 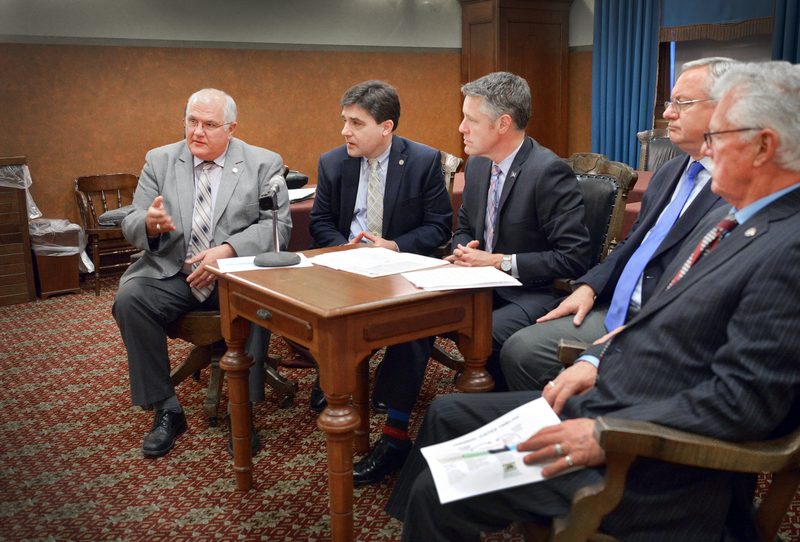 The bills have been referred to the Senate Michigan Competitiveness Committee for consideration. Editor’s note: The above photograph is available by clicking on the image or by visiting Zorn’s photowire at www.SenatorDaleZorn.com/Photowire.